Leeming, Joseph. Fun With String. A Collection of String Games, Useful Braiding & Weaving, Knot Work & Magic with String and Rope. Philadelphia. J.B. Lippincott Company. 1940. Octavo. Hardcover. Illustrated. Fine copy in very good (light shelf wear) dust jacket (in mylar). Leese, Arnold Spencer (1878-1956). My Irrelevant Defense. Mediations Inside Gaol and Out on Jewish Ritual Murder Photo available. London. I.F.L. . Octavo. Soft cover. Reprint. Fine copy. Lefebure, Victor. The Riddle of the Rhine. Chemical Strategy in Peace and War. New York. The Chemical Foundation. 1923. Octavo. Hardcover. First edition. Related letter laid in. Fine copy. Lefebver, Dr. Rene (Edouard Laboulaye) & Mary Booth (trans.). 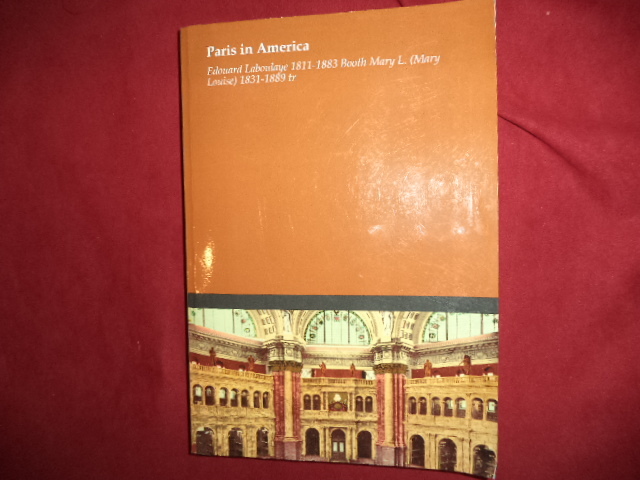 Paris in America. Photo available. Washington [New York]. Library of Congress [Charles Scribner]. 2013 . 373 pps. Folio. Soft cover. Facsimile edition. Important reference work. Fine copy. Lefort, Rafael. 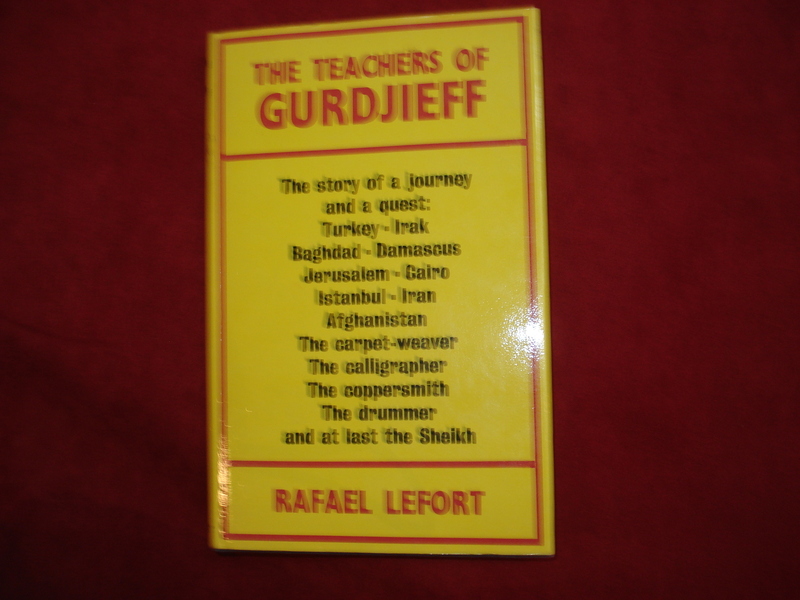 The Teachings of Gurdjieff. The Story of a Journey and a Quest: Turkey - Iraq - Baghdad - Damascus - Jerusalem - Cairo - Istanbul - Iran - Afghanistan - The Carpet Weaver - The Calligrapher - - The Copersmith - - The Drummer and the Last the Sheikh. Photo available. New York. Samuel Weiser. 1973. Octavo. Hard cover. Reprint. Fine (book plate) copy in fine dust jacket (in mylar). Legge, James (trans.). The I Ching. The Book of Changes. Photo available. New York. Dover. 1963 . Octavo. Soft cover. Second edition. Illustrated. Important reference work. Fine copy. Legge, James. The I Ching. The Book of Changes. New York. Dover. 1963. 450 pps. Octavo. Soft cover. Reprint. Illustrated. Fine copy. Leggett, Carol. Reba McEntire. The Queen of Country. Photo available. New York. Fireside. 1992. Octavo. Soft cover. First edition. Illustrated. Fine copy. Legman, G. The Limerick... 1700 Limericks. New York. Bell Pub. 1974. 518 pps. Octavo. Hardcover. First edition thus. Fine copy in near fine (light shelf wear) dust jacket (in mylar). Legman, G. The Limerick... 1700 Limericks. New York. Bell Pub. 1974. 518 pps. Octavo. Hardcover. First edition thus. Fine copy in near fine dust jacket (in mylar). Lehmann, John. Christopher Isherwood. A Personal Memoir. New York. Henry Holt. 1987. Octavo. Hard cover. First edition. Illustrated. Fine copy in fine dust jacket (in mylar). Lehner, Lois. Complete Guide of American Kitchen And Dinner Wares. Des Moines. WH. 1980. 239 pps. 4to. Soft cover. First edition. Illustrated. Near fine copy (very light shelf wear). Leigh, David. The Wilson Plot. How the Spycatchers and Their American Allies Tried to overthrow the British Government. New York. Pantheon. 1988. 272 pps. Octavo. Hardcover. First edition. Fine copy in near fine dust jacket (in mylar). Leigh, Janet. The Dream Factory. Photo available. Don Mills. Mira. 2002. Octavo. Hard cover. First edition. Illustrated. Fine copy in fine dust jacket (in mylar). Leighton, Frances Spatz. The Sweetest Little Club in the World. Shocking Inside Stories of the U.S. Senate. Memoirs of Louis Hurst, Senate Restaurateur. Englewood Cliffs. Prentice Hall. 1980. 280 pps. Octavo. Hardcover. First edition. Illustrated. Fine copy in near fine dust jacket (in mylar). Leik, Charles. Barns. New York. Barnes & Noble. 2001. Octavo. Hard cover. First edition. Illustrated in black, white and color. Fine copy in fine dust jacket (in mylar). Leipold, A Starker. North American Game Birds and Mammals. Covers 135 Important Game Species of the U.S., Canada, and Northern Mexico. New York. Scribners. 1984. 4to. Soft cover. First edition thus. Illustrated by Gene M. Christeman. Fine copy. Lemann, Nicholas. The Big Test. The Secret of the American Meritocracy. New York. Farrar, Straus and Giroux. 1999. 406 pps. Octavo. Hardcover. First edition. Fine copy in fine dust jacket (in mylar). Lemesurier, Peter. The Great Pyramid Decoded. Photo available. Shaftsbury. Element. 1985. Octavo. Soft cover. Reprint. Illustrated. Fine copy. Lemesurier, Peter. 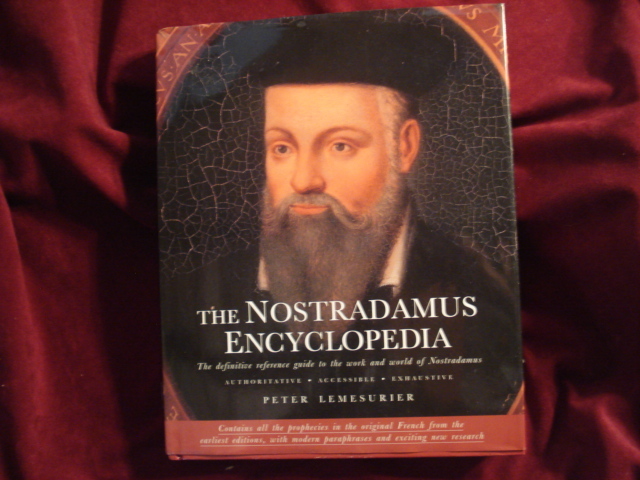 The Nostradamus Encyclopedia. The Definitive Reference Guide to the Work and World of Nostradamus. Contains All the Prophecies in the Original French from the Earliest Editions, with Modern Paraphrase and Exciting New Research. Photo available. New York. St. Martin's Press. 1997. 4to. Hard cover. First edition. Illustrated in black, white and color. Illustrated in black, white and color. Fine copy in fine dust jacket (in mylar). Lemmon, Robert. Wildflowers of North America. In Full Color. Garden City. Hanover House. 1961. Octavo. Hard cover. First edition. Illustrated in black, white and color. Fine copy. Lennon, John & Elizabeth Thomson (ed). The Lennon Companion. Twenty-five Years of Comment. Photo available. London. Sigwick & Jackson. 2002. Octavo. Hard cover. First edition thus. Illustrated. Fine copy in fine dust jacket (in mylar). Lennon, John and Paul McCartney. 51 By John Lennon and Paul McCartney. New York. Warner. 4to. Soft cover. First edition. Very good copy. Light shelf wear. Lennon, John. 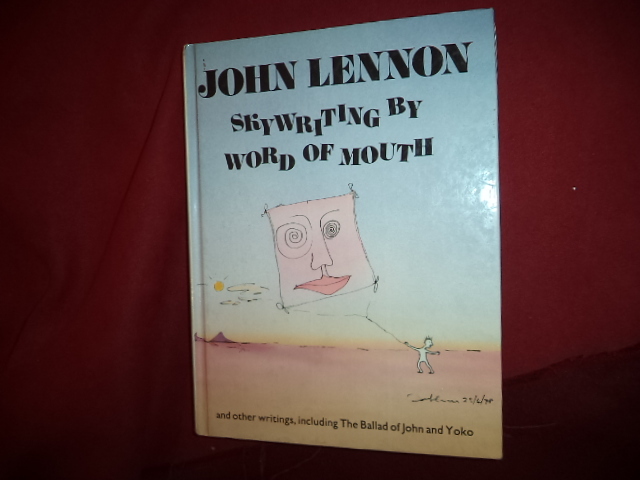 Skywriting by Word of Mouth and Other Writings, Including The Ballad of John and Yoko. Photo available. New York. Harper & Row. 1986. Octavo. Decorated hard cover. First edition. Full number line. Illustrated. Fine copy (Lennon's lyrics "Across the Universe" on end papers). Lennos-Boyd, Arabella. Traditional English Gardens. Photo available. New York. Rizzoli. 1987. Octavo. Hard cover. First edition. Illustrated in black, white and color. Fine copy in fine dust jacket (in mylar).